It’s too bad that you’ll never get within a thousand miles of the CAFC to make that argument, NWPA. It would be a genuine laugh riot, 100% at your expense. So a hindsight MM paid blogger response. How about trying to get some substance in there. How about trying to get some substance in there. Accurately predicting outcomes of cases has value, whether that prediction is based oral arguments or some other information. I’m pretty good at it. What value do you provide (other than laughs at your expense)? That’s a rhetorical question, by the way. Nobody cares what you provide. Here’s another prediction for you: the oral arguments next month in Fan Funded, LLC v. Kickstarter, Inc. are going to be a laugh riot and Fan Funded’s patent (tanked under 101 by the district court) are going to stay tanked. They should never have been granted in the first place. Take it to the bank. And here’s a great question: what kind of patent attorney would even advise his/her client to appeal a case with zero chance of succeeding? The answer: a b0ttom-feeder with nothing to lose. This has been another edition of telling the worst patent attorneys on earth what everybody else already knows. Well how about substance about why what I wrote is so silly according to you. And, reality–these patents that you are paid to constantly insult are the same ones that built the greatest software industry in the world by a factor of 10. But, somehow–somehow magically—now they are bad. Bad patents. MM–now I am mainly work for large tech companies and Silicon Valley start-ups. I see none of what you spout off about everyday in my practice. I see engineers and scientist working their b#tt off inventing to try and get a patent application worthy invention. I see the patents integrated into the entire work process. I see the patent enabling employees to freely move to other companies or start their own in similar fields. That is what I see in my practice. I guess you live in a different world than I do. abstract and, therefore, must be considered at step two. CAFC issues Rule 36 decision against Becton D-ckenson’s and their junk patent (tanked under 101, at summary judgment stage). This was predictable from the oral argument (but my prediction got stuck in the filter). Becton’s claims are broadly claimed methods of using a computer, camera and software to remotely “monitor” a drug compounding worker (totally different from other kinds of workers monitored in the prior art!). Abstract idea jurisprudence is junk because it has no limiting principle. See how easy that was? You don’t even need to be a paid troll for IP thieves to get it. Although I expect the paid troll to earn his keep and return a typically snarky, thought-free response. Rent is due Friday. But pretending that it doesn’t is the kind of thing that patent maximalists habitually do because they got nothing else to bring to the table. Are there other glaring errors as obvious as the error in Example 29 of the Life Science exemplars? I assume so but I stopped searching. Before I start up again, can anyone find any others (there’s no sense in repeating work). So, humans are really machines. So, evaluate a particular human under Alice. Everything about Ginsburg is conventional except her brain. But, her brain under Alice is abstract. So, Ginsburg is no different than a homeless person that has no education and is illiterate. So, Ginsburg should be put out on the street as having no more value to society than the homeless person. Of course, Stevens has a magical spirit that does his thinking for him. Posner sits around offering pizzas hoping for a new energy source. Lemley thinks so literally that he can’t function. Stern is still busy coming up with every possible argument why information processing shouldn’t be eligible for patentability. And–all of them–still have no idea what science is and couldn’t even begin to explain Newton’s laws of motion much less anything more complicated than they watched on a Disney movie. They all probably chant undulating current and think of flashes of geniuses that the movies show them. Night you are closer than you realize to important truths, but your philosophy is stunted. Firstly, on many planes, Ginsburg and the homeless person (and you and me for that matter ) have a similar “value” to the universe, which is just about nothing. The similarities astronomically outweigh the differences between us. Next, you imagine the variation in human character to be a physical effect. The ‘differences’ in physical brains make for the “differences” in character. Apparently you don’t understand the quantum truth that something can be one thing or the other- that no determination of “difference” is ever possible between them; only the probability or possibility of difference. The abstract portions of our minds function on an unknowable quantum level, while the electro/chemical /mechanical parts are very knowable (in fact, we can amplify them on a common chip). So finally, you bet her brain is abstract under Alice- and should be in general so far as the law is concerned. Not the physical brain, but the mind within. Information processed by human beings is abstract, or the word has no meaning. Your comment of “while the electro/chemical /mechanical parts are very knowable (in fact, we can amplify them on a common chip). belies an affinity to my own (semi)coined word of anthropomorphication. Once you realize that those squabbling about things that machines do that merely “sound in” things (totally) in the human mind (but are NOT so totally in the human mind), you might see that one side of the ongoing debate (the anti-patent side) has it all wrong. This is one reason why I have invited Prof. Crouch to explore the background and history of the Mental Steps doctrine, as anyone who recognize that actual patent law terrain can tell you, the old doctrine that was put out to pasture is being manipulated into a new philosophically guided desired Ends. You have an actual point there, Malcolm? Martin put a shirt on. Plus what nonsense. The mind is nothing. Is it? What is it? You have a brain friend–that’s it. As to your brain is patent eligible —again we have this refusal to accept the equivalence of software/hardware/firmware. You are saying that a computer that is built all in hardware is patent eligible but if I take a part out and put it in software it is not. What nonsense. Night, why isn’t a new and useful technical diagram patent eligible? Why isn’t the same diagram eligible when displayed on a computer monitor? The mind is indeed something; something intangible, abstract, unknowable, and impossibly incapable of fair adjudication of property rights comprised of the thoughts of a given mind. Actually that is just not correct. You (or their argument) are confusing eligibility and patentability. Further, I do not think that you are grasping exactly what the printed matter doctrine covers (in particular, reflecting that NEITHER Ned nor Malcolm have been willing to be inte11ectually honest about what the doctrine means). Ned – you are doing that opposite thing. Re-read my post and note what the judicial exception is. You have confused yourself again. The statutory basis is the starting point – and that point is very wide. In other words a pure statutory reading is inclusive of even the possibility of printed matter. Then – through the judicially created doctrine – certain printed matter was deemed to not have patentable weight. The judicial doctrine serves to limit the broad statute. The judicial doctrine comes AFTER the statutory meaning, and by judicial edict is meant to limit the plain broad words of the statute (whether this action goes too far or not is NOT an immediate cause of concern – and I think you are tripped up here). Then – the exception to the judicially created doctrine comes into play when the realization that some printed matter does not raise the issues that other printed matter raised (that “other printed matter” that DID raise some concern and that created the judicial doctrine that limits the broad statutory meaning just was not applicable to ALL printed matter). A return to the original broad statutory inclusion is then made for the types of written matter that did not fall into the concern of the judicial doctrine. Or to put it another way: Think simple set theory. ALL printed matter is Set A. SOME printed matter that raised a judicial concern is Set B. OTHER printed matter that does not raise that same judicial concern is Set C.
Software is within Set C and NOT in Set B. The judicial doctrine of printed matter is concerned SOLELY with Set B. When one speaks in broad gen eral terms of Set A, one must be aware of the fact that Set A contains both of the mutually exclusive sets of Set B and Set C, and that for patent purposes, Set C is entirely permitted. Set C includes software (as well as measuring cup and magic hat bands). We all know that when you look at a computer chip you can’t see anything. Therefore, there is nothing there. Get over it. Uh….big leap. Uh…me thinks that information is angels on pins. Me thinks no patent. Me thinks if you can’t see it and feel it, then it does not exist. Me thinks me get food now. Yeah Night, in your delusions, you must see that Stern, Lemley and I consult every day to defeat your plans for patenting information. Software is not information Ned. Anon, instead of defining software by what it is not, tell us what it is. Regardless, even though the software drives the machine, it is the machine that is patentable subject matter if it is new, and it is new if it does something new, not something old. Asked and answered – many times Ned. Software is a manufacture by the hands of man to be a machine component. The “soft” part is nothing but a design choice between THE EQUIVALENT** of “hard” or even “firm” wares. This is a basic and foundational fact that ANY discussion must have to be inte11ectually honest. The fact of the matter that you are an avowed “hardware” person, and that you relentlessly advocate for a “hardware-centric” view of things patent eligible is one thing. But is you in your advocacy refuse to engage in an honest manner, that is quite a different thing. As I have pointed out, the original “posting rules” had a rule about posting being of a personal nature. When you post instead in the role of an advocate and thus incur a constraint to not allow yourself to hurt the position of whom you are advocating for, you engage in a pattern of behavior that is detrimental to the complete explication of the subject matter. This sAme pattern by a small and select group os sAmeones “on the internet” is the source of blight and “p00r ‘ecosystem'” here – as was personally pointed out some 4 or 5 years ago. Isn’t about time that the endless repeat propaganda is constrained to a separate “same page”…? “anon” Isn’t about time that the endless repeat propaganda is constrained to a separate “same page”…? Because “anon” doesn’t spew an endless stream of propogandistic bal0ney. He’s a very serious person! Totally credible. But you already “seriously” knew that, eh pumpkin? anon, your definition of software applies to any machine component ever made, so it cannot be a definition of software. Components that are “hard” are called hardware. Components that are “firm” are called firmware. anon, from your comments, it is quite apparent that you do not litigate, or draft contracts, or, perhaps, do any work that is useful to your clients. Ned your response has NOTHING to do with my post. Ned: it is quite apparent that you do not litigate, or draft contracts, or, perhaps, do any work that is useful to your clients. “anon” is very busy in the mailroom, Ned, screening letters to the lawyers in the office so they don’t accidentally learn about the prior art. Maybe want to actually get back to the discussion point…? Absolutely wrong. Software is precisely information. It’s saved on and retrieved from digital information storage devices, media, and networks, and processors fetch data and instructions from the exact same buses. You have a bad habit of confusing the storage media with the contents, anon. The confusion is NOT on my part, Count Dobu. The fact of the matter that the manufacture is a storage media does NOT make your point here. Your inability to recognize the legal terrain here has made you into a (perhaps unwilling) champion of the patent eligibility of software. Your “point” about the same buses fetching “data” that has other effects – effects along the lines of Fine Arts simply matters not at all. That different mechanism is the type of utility requirement in 101. Any type of “but they use the same path” argument has no consequence. LOL – no comeback here Dobu on your part in being an (unwilling) champion of software eligibility by showing conclusively that software falls squarely in the exception to the judicial doctrine of printed matter? You funny. You completely evade the point made (software and other data is stored as digital information), and then resort to childish taunts to elicit a response to your relocated goalposts. Okay, little anon, here’s your response. An information storage medium is just a container. Storing something in a container which the container is designed to contain does not magically transform the container+contents into a new “invention”, whether those contents have utility or not. If your contents have utility, standing on their own, and belong to an eligible category, then, enjoy your patent. Beauregard claims are history. Cope. The complete printed matter doctrine has not changed. And by complete I do mean the exceptions to the judicial doctrine of printed matter are still controlling law. Why don’t you cope ? pssst: a manufacture IS an eligible category – the “container” argument you sooo want to make is not changed by the plain fact that software is a machine component. Have you ever asked yourself WHY software is manufactured in the first place? The complete printed matter doctrine has not changed. Please feel free to address the simple set theory (that you constantly whine about and want me to repost). Software is not a manufacture. Check Allvoice. And software as a machine component? Says you and Mr. Goetz. You are both welcome to your opinions. You really need to look up “fact” in a good dictionary. Show me someone who thinks that software is not a machine component and I will show you someone who does not know what software is. It’s not a leap at all, DanH. It’s based on the basics of what software is. The reality is anon that MM is a paid blogger and will never be convinced by your arguments. You may as well be arguing with a bot. Ned is chasing money that influences his opinions. Reality. My aim is not to convince Malcolm. Since Malcolm will not be convinced, repeatedly highlighting the inanity of how views and tactics is the best inoculation against his propaganda. Sure, those dedicated to the same philosophical ends will also clench tight their eyes (and tell the wrong people to just sh ut up), but their complicity with the “Ends no matter what the means” is then captured in black and white for any reasonable and objective person to see. Shining gems of CAFC jurisprudence! Because reading “new” numbers on the side of an otherwise old measuring cup is a completely different animal from reading “new” numbers on the side of an otherwise old graph. Totally different issues! That you remain “eyes clenched tight” does not change the actual world Malcolm. anon, when the first stored program computer was invented and let us say 1946 or 47, then I might agree that one could claim the stored program computer as an invention. But after that, simply varying the program does not make the stored program computer new in a patentable sense. That said, in a larger machine that is doing something that is otherwise patentable, changing the program can change what that larger machine is doing. That might be patentable subject matter. Except for the simple fact that you are absolutely wrong Ned, I might agree with you. Once you treat this fact with inte11ectual honesty, you should realize just how untenable your current position is. (Let me add, Ned, as I have pointed out previously, you are falling into the “House/Morse” fallacy that somehow that very first computer has ALL future “or any new and useful improvement thereof” already in there. You mistake ease of changing a ware with some notion that no change at all has happened (or that a change in a component may have happened – and components, as manufactures, have their own place in the statutory category pantheon). Maybe you want to make sure that you are not ignoring other important considerations in our dialogue…. Software improves an old computer the same way entering a cooking schedule improves a microwave oven. A change does occur, but a new invention? Hardly. Software is not a manufacture. See Allvoice. Once again, Count Cobu, if you are going to get on the Merry-Go-Round, the answer remains the same: I have already distinguished the Allvoice case and that case simply does not mean what you want it to mean. I decline your “invitation” to a but-you-need-to-repeat-yourself Br’er Rabbit game. Anon, it was your invitation to board the merry-go-around once again, with your oft-repeated, but always mistaken assertion that software is a manufacture. You have repeatedly claimed to have distinguished Allvoice, but, such is your modus operandi. You continue to clench your eyes shut tightly against the fact that “software” and “media containing software” are not the same thing. Sorry Dobu, but you are again wrong – as you are the one boarding the Merry Go Round with your incorrect case cite. Your attempted point here of “fact that “software” and “media containing software” are not the same thing” borders on pedantic semantics. Let me know how your attempt to obtain a copyright on “software in your mind” is coming along. Oh, that’s right there is NO SUCH THING as software in the mind. Oopsie for you, as YOU run into that sAme wall. An empty disk is a media – no software. A disk of Britney Spears music is a media – still no software (in the music). Software is not the execution of software. Software is merely a design choice to effect a utility (of the type in the Useful Arts) and is a “ware” or component directly made for a machine. It is fully equivalent (and again – the important patent sense here is equivalent and NOT “the same as”) to hardware or firmware. These are basic facts that YOU need to recognize (and FACTS untouched by law). How do you distinguish between the information content that causes a device to play Britney Spears and the information content that causes a device to engage in e-commerce? They’re both instructions. Software is not a manufacture. Read the case. You really think distinguishing software from it’s container is “pedantic semantics”? Wow. To borrow one of your latest catch-phrases: “Not even wrong.” Time to take some computer classes, anon. Again, you play your worn-out copyright card. *Yawn. * Fine, again I’ll respond, a recorded expression of the abstract is copyrightable. Now move the goalposts back. Software can exist in the mind, on the printed page, or in digital storage media. It’s all still called software. Your desperate attempts to restrict the use of the word “software” to only mean a storage medium that contains the digital, compiled executable form of a program is just blind self-interest. Open your eyes, Anon. Awaken. Be free. “TO” play versus what is being played…. You mean to ask about the utility…? That difference is right there in 101. Not sure what you are having trouble with, Alex. You forgot to notice the impact of that different aspect of software. So before I move the goalposts back, take note of the fact that software in the mind just is not software. As to equivalence, – you make the mistake of “exactly the same as” as the form of the “ware” is NOT a substantial item to be “the same.” Too quick are you to reverse the Oopsie – and now it is a double Oopsie on you. Let me know when you find actual software that is NOT meant to be a machine component (and I will show you someone that does not understand the definition of software). Software is not a machine component, except for you and your first[alleged]-software-patent hero. But if you want examples of software that is never intended to be executed, check out pretty much any programming language tutorial. You should have no trouble finding examples of code exhibiting what not to do. Your tutorial of software is not software. Clearly, you do not understand the definition of software. Deep, deep stuff from the super seriousest people ever. Ecosystem….? that’s just A whole nother matter when it concerns Malcolm…. Dobu, on the microwave over, you and I disagree here. Your position with respect to software patents is more permissive than mine (which I would estimate to be a little more permissive than MM’s), but you present reasoned, supported arguments. You have my respect, Sir, for what that’s worth. I presume we can agree to disagree? To elaborate on my microwave oven comparison: pre-programmed cooking schedules (e.g., a “popcorn” button) would correspond to stored programs on a computer, both devices run processors in a loop waiting for input to initiate a series of operations, results presented on a display, etc. Of course, I am not claiming the two inventions to be indistinguishable. That would be silly. LOL – respect and agree to disagree…. Dobu, with respect to reasonable people, it always come down to reason. I think new or improved machines are patentable. What makes a machine new or improved? Doing the same thing differently but better, or doing something new. The structure of the improved machine also has to be different. Now, if the microwave oven cooks something better than before, but its structure is the same but for the firmware, then do we have a new or improved machine? It meets prong 1. But prong 2? I have long advocated the idea that firmware can improve the machine. I used to work in disk drives where a lot of the advancement was in the firmware: the way seeks were performed, the way signals were processed, the way the motor was spun, etc. The disk drive was improved. “Differently” IS better – Most disruptive innovation is not “better” in the traditional sense at first shot. Providing diversity of “avenues” is what it is about. Recall my analogy and comparison between a parking lot and a grid of streets. Innovation is by and large NOT linear and “orderly” like a grid of streets, but rather, the patent system is meant for a parking lot approach – paving in all directions – because there is no real “straight ahead” when it comes to promoting progress. How do you feel about machine components and the statutory category of manufactures? Has anyone ever considered that the difference between a justice and an uneducated homeless person is almost all the software? The information processing machine inside the skull of the justice is different. Maybe it has become hardware in the justice after years of training. And, yet this is the part of our machines that they want to hold ineligible for patentability. I don’t think any rational person could come to the conclusion the justices did in Alice. “Conventional” kicks in at the moment the purpose of the prior art element becomes public knowledge. That moment could (and most often is) simultaneous with the disclosure of the prior art element. That’s because such disclosures usually include a discussion of the purpose of the prior art element. This is the way it’s going to roll because this is the way it has to roll. But get ready for the people who complain about “this rule is too hard and arbitrary!” to lobby like pitbulls for some far more complicated test. It might be worth responding to an Alice rejection in real life before making up your mind on how simple this issue is. Coming from Malcolm, this is an exceptionally weak statement. How does paper process information? The best and the brightest, folks. The MM-BOT. The K Street special. What is the (mixed) message when Prof. Crouch personally invites you to write a column, but maintains a personal IP address block…. What’s Dennis’ “desired narrative” and what makes you believe that you are you “disturbing” that narrative? If anything, you seem to be doing a great job of proving that at least one “narrative” is dead-on correct. That would be the “narrative” about a bunch of entitled, self-absorbed and mostly cl ue less whiners who will do and say literally anything if they can convince themselves that it will keep their grifting schemes running smoothly. Hence the nonsense we see being spewed in this thread below for the zillionth time, e.g., “everything is ineligible” and “prior art has no place in a subject matter eligibility analysis” and (my personal favorite) “this was all addressed in 1952!”. Please keep up the great work, “anon.” If nothing else (and there really is very little else) we can all use the laughter. You do realize Malcolm that you do not respond to the actual content of my post, right? You do see the dichotomy of asking me to write an article (which defeats your attempted ad hominem) with the maintaining of a block on one path of my writing. You’re not going to write an article which does anything except further promote the narrative I just described. …and once again you miss the point…. A disaster indeed. Who would have thought that implementing an unworkable anti-standard that fails to predictably distinguish the patent-eligible from the patent-ineligible would be so unworkable?! It works pretty well as long as you don’t bend over backwards to coddle your entitled “stakeholders”. We could apply the teachings of Alice to ANY invention ever conceived to find that it is ineligible for patenting. That’s the problem. People that think I’m stretching here in order to prove that Alice is overly broad and a disaster can provide me with example claims to invalidate. For bonus points, we can also apply the teachings of KSR to invalidate these same inventions as being obvious by pointing to the “ordinary creativity” of the skilled artisan. We could apply the teachings of Alice to ANY invention ever conceived to find that it is ineligible for patenting. You could but you’d come off across like a kindergartner pretending to be a lawyer. Not that this is unusual in patent law, particularly when the subject is the awesome technology driving the bingo management or friend-making “arts”. Thanks for the compliment, but your name calling doesn’t distract from the fact that the USPTO can’t explain how to implement Alice in a consistent manner without invalidating virtually every patent. How many pages is their collective “how-to” guide? Meanwhile, here on planet Earth, there are tons of other patents besides computer-implemented junk, methods of using math and logic and prior art detection methods to detemine stuff, and methods of shoving an ad in a person’s face. And Alice is pretty much irrelevant to all them. Except not – and that’s kind of the point that you want to continue to pretend does not exist. The Court provided NO limits to their “Gist/Abstract” sword, and your “celebrations” are far too premature. Instead, what we should do is embrace the full impact of what the Court actually wrote and slam down on the gas pedal to make certain that the Court sees how mashed the nose of wax has become. Maybe (just maybe) they will keep their fingers out of that nose. How odd, then, that the claims being tanked are pretty much invariably computer-implemented junk, determine-and-infer junk, or “detect this” type junk. I’ve yet to see one claim tanked under Alice that recites new and non-obvious structure in objective structural terms. But you know best, “anon”! You’re very serious and important and if you say that “everything is inelible” then we must all assume you’re correct. After all, you’d never just make an argument out of pure desperation. No surprise that you react by kicking up dust and trying to change the subject (like who cares if it’s “an option” or not? the point is that claims I described are not affected by Alice and that fact doesn’t sit well with your silly narrative). But you’re a real life lawyer! Sure you are. You just can’t read English and you can’t follow basic logic. Minor roadbumps. Responding directly by repeating your error of pretending that an optional choice is somehow something more than just an option…? That is not a good way of “responding” – directly or otherwise. Jumping the barrier and crossing the freeway blindfolded. Just options! It would be imprudent to favor one over the other. A characterization of a parade of horribles that leaves only a choice as you have presented here is easily seen as a false characterization. You attempt to “prove” too much, and only prove that your ad nauseum ad infinitum posts are nothing but propaganda. You still attempt to have an optional claim format be a de facto ONLY legal claim option. That is not – and cannot – be correct. But no doubt, you will continue to clench tight your eyes and pretend otherwise. Can you at least provide us with a single example of a real-life claim that you believe is patent eligible? It could be argued that the claim is nonetheless drawn to an abstract idea, and that the physical structure is merely conventional. What do you say MM? If Alice is so easy to apply and understand, then please provide us with a single real-world example of an actual patent claim that you believe to be patent eligible. That clickity click sound you hear is Malcolm’s heels hitting the pavement as he does what he usually does when pressed on a substantive point. I’ve done way better than that, iit: I’ve already provided you with a description of a huge class of claims that are patent eligible. Have you forgotten that already? Note that I’m not the one running around shrieking that “everything is ineligible”. That’s your absurd position. My position is that some claims are eligible and some claims aren’t. And I’ve described for you and your cohorts the general classes of such claims falling into those categories literally hundreds of times. Now, if you’d like to demonstrate for everyone your awesome ability to render every claim ineligible “under Alice”, then pick ten random claims and show everyone the analysis. Do your lawyerly best! It’s more than a bit silly to pretend that your analysis might change if I pick the claim. Hopefully you can understand that but, if not, well … I’m not surprised. No, that isn’t better. It is vague and abstract. Give us one claim. Don’t do “better than that,” give us one claim from an issued patent that you agree is eligible. If there are so many, as you say, paste in just one. Your “I’ve chosen a class” gambit was tried and did not work with Dr. Noonan either, Malcolm. The evident point here is that you just want to play a Br’er Rabbit game and you do not want to commit to some actual example. Les: It is vague and abstract. There’s nothing “vague” or “abstract” about it. In fact, it worked marvelously. Noonan is a hack. Are all of those claims ineligible, “anon”? You’re a super serious person, after all. MM dodging the issue again – note that MM has still not provided a single example claim. MM has still not provided a single example claim. Malcolm stumbles upon another nut in recognizing that his own response means nothing. Hah, no wonder so many things contrary to lawl crept into the memo. For shame PTO. Public comments do make lawl. That’s good, perhaps someone will eventually comment on how this move is contrary to lawl. Though many things in the memo are good to do, and should be encouraged, they are not a requirement under the law. Only notice sufficient to enable the applicant to respond is legally required to be provided. All else is the PTO mucking around in substantive legal issues illegally. At least twice (the courts and yours truly here remarking that for actual statutory patent law there is only one branch of the government sanctioned to write it (and that branch is not the Executive – nor the Judicial – branch). I can hardly wait for the deafening outcry from the usual super-concerned suspects about the PTO “creating new law” that makes it easier to obtain claims. In addition to your eyes clenched tight, you now have your fingers buried in your ears…? The PTO can’t make it a requirement of your continued employment? If the claim fails 101 under the law and yet the individual examiner cannot/did not “explain” explicitly all of these things then no, the office cannot hold the examiner accountable for that as a clear error if the rejection is never the less correctly made, as all of that is not technically required under the law. Many many cases indeed do not require such. Guidance is guidance, management “power” be “power”, and memos be memos, but illegal management actions are still quite illegal. Just because someone “up the chain” espouses an position that may well cause a whole slew of illegal management actions doesn’t change whether or not an illegal management “action” happened or will happen in a given instance. Finding clear errors (which is how they go about enforcing these things on primaries) is another beast entirely. Of course, spes and primaries could enforce these “guidelines” in the memo on juniors by not signing work, but in the instance that the rejection was never the less correct as initially made, and provides sufficient notice for the applicant to respond, it would be rank workplace bullying, and if the rejection is withdrawn since nobody can “fully explain” it then it would result in error (regardless or whether or not anyone catches it internally). Of course, the spe or primary themselves could themselves write in an “explanation” on any 101 that they think is necessary on any action they send. Trust me, you very much want it to be this way in the office. Any alternative would be a management disaster. The system as it is can already be a disaster if someone less than fully competent gets involved. Besides, Spes who are leaders can get their juniors and primaries to do what they want without strict “enforcement”. That’s why the pto makes probably half the illegal rejections it issues every year. Indeed, I’m in on a saturday today regarding an instance of just that. Take a look at page 10 of the life sciences example claims 1 and 2. In that example claim 1 is illegible but claim 2 is not. The only difference between claim 1 and 2 is that claim 2 adds an additional step. Does adding a natural phenomena to an otherwise patentable invention really turn the invention into ineligible subject matter? At least at some point the Supreme Court didn’t think so. In Diamond v Diehr they used almost the same words you use in your question: an otherwise patentable process doesn’t become unpatentable just because it incorporates a mathematical formula. I think these two example claims are very interesting. And as we see below, MM is already complaining. And as we see below, MM is already complaining. I’m just pointing out a huge gaping error that will certainly be fixed because it has to be fixed. If you can explain how a claim (i.e., claim 1) can be deemed eligible when it literally covers ineligible subject matter (i.e., “ineligible” claim 2), I’d love to hear that explanation. an otherwise patentable process doesn’t become unpatentable just because it incorporates a mathematical formula. That’s true in the narrow sense that hinges on a key word: just because. It’s the one thing that the Court got right in Diehr: just because you spot some math in a claim, does not mean that the claim is per se ineligible. But that’s a far cry from saying that “incorporating a math formula into a claim does not render an otherwise eligible claim ineligible, ever” which is how the patent maximalists have always wanted to interpret Diehr. That’s not at all what Diehr said. And even if you insist on believing otherwise, there is no way — absolutely no way — to reconcile that proposition with contemporary 101 jurisprudence (i.e., Mayo, Alice and progeny). 1. A method comprising [old transformative steps that result in the production of X]. 2. The method of claim 2, further comprising counting X and dividing the calculated number by 2.321. Claim 1 is eligible (setting aside arguments that non-inventive subject matter fails 101). Claim 2 is ineligible. It’s not ineligible “just because” there’s math. Rather, it’s ineligible because there’s nothing else new in the claim except “do this step which is ineligible on its own terms.” See the difference? It’s a huge difference so I hope that you can see it. Did you mean the method of claim 1? If you did, and if claim 1 is eligible, then claim 2 is eligible because it includes claim 1. Moreover, since claim 1is open ended (it uses the transition would “comprising”) claim 1, by itself, encompasses the subject matter of claim 2. Thanks, Les. You’ve highlighted an important distinction that I should have developed more fully in both my comments in 3 and 4.1.1. First, you are certainly correct about the claim dependencies. Claim 2 depends on claim 1. And, yes, you recognize correctly that claim 1 “literally reads” on claim 2. Therefore, if claim 2 is ineligible, then claim 1 should be ineligible as well. Note that claim 1 in my hypo is not only unpatentable under 102, because it’s old, but it’s also ineligible under 101 because it’s old (it’s not an invention at all). That’s how the conundrum is resolved in my hypothetical. Both claims are tanked and practitioners of the prior art transformative steps don’t get sued for practicing the prior art and thinking about “new” math. You, are, of course, free to argue that 101 doesn’t require that the claim be inventive (but I don’t think it’s a winning argument). This is distinct from the scenario set forth by the PTO where the PTO presents a contrary set of facts about the elements recited in the two claims. In the first instance (with respective to claim 1), the claim is generically recited prior art detection steps carried out on a natural phenemenon. It’s a clear Sequenom 101 problem. But the PTO doesn’t see it that way when they analyze claim 1. They only see it that way when they analyze those steps in claim 2! The correct analysis would find that both claim 1 and claim 2 are ineligible subject matter, for the same reasons. Now, if the PTO had stated that claim 1 recited eligible subject matter because the transformative process disclosed new and non-obvious steps that amounted to “significantly more” than the natural phenemon — a completely different set of facts versus my hypo — then adding a “detection step” wouldn’t make a hill of beans a difference to the claims eligibility. It would still be eligible. It likewise wouldn’t matter if you added a step about performing some math in your head. Still totally eligible. Again, I thank you for bringing this apparent contradiction in my comments to my attention so I can resolve it. When I wrote “If you can explain how a claim (i.e., claim 1) can be deemed eligible when it literally covers ineligible subject matter (i.e., “ineligible” claim 2)”, I should have limited that postulation to the case where claim 1 is eligible and patentable on its own terms. Where would you get that idea? A computer is clearly statutory, but a computer running a hedging program was not – that’s exactly what happened in Alice. The question is what is the claim directed to. In Claim 1 it’s directed to a method. In Claim 2, it only distinguishes from Claim 1 by performing ineligible math. Though I will say this MM – I’m not sure the correct answer is a 101 rejection to Claim 2. The correct answer may be a double patenting rejection to Claim 2 as being the exact same claim as Claim 1, on a theory that the ineligible subject matter cannot distinguish. The correct answer may be a double patenting rejection to Claim 2 as being the exact same claim as Claim 1, on a theory that the ineligible subject matter cannot distinguish. This is wordplay. You can call it whatever you want — even make up a totally new word! It’s still a subject matter eligibility failure. But just as clearly “1. A computer.” is something that it is legally impossible to invent and claim in 2016. It’s not an invention. That (along with other facts, such as it’s purpose for existing in the first place) is why it doesn’t add anything to otherwise ineligible subject matter, even if that ineligible subject matter is new and non-obvious. Your pretending otherwise is, we11, rather like what you accuse others of: kindergarten. It really matters that “a computer” is knocked out NOT for 101, but for 102/103. Actually it doesn’t matter one bit, except for the name you give to the analysis. It’s like a 13 year old who wants to get drunk and high on pot in Texas. When I tell him that pot is illegal, he points out that he’s not “smoking pot”. He’s smoking pot and getting drunk. Totally different! Then I suggest he should become a patent attorney because he’ll find lots of friends on the Internet. Absolutely wrong – and very much the kindergartner approach that you are so quick to accuse others of. Its never wordplay when a different substantive test is being applied. Enablement and Written Description often overlap (sometimes wholly so) but they are different tests and the distinction is not mere wordplay. The fact that you may think they are often the same, or that in this example they happen to both come out the same way, does not mean we ignore the question. I don’t agree that just because 101 and 103 would often give you the same answer in some of these claims on this site that we should ignore 101 in favor of 103, and the same applies here. RG: Its never wordplay when a different substantive test is being applied. There’s nothing “shocking” about that from either a legal perspective or from the perspective of any ordinary person who isn’t invested in gaming the system. But it sure did upset those “investor backed expectations”. And so we have to listen to these entitled people cry. Because they’re rich and super important! They make the world go round and they simply must have their way. Random, are you falling for the “it’s just math” fallacy? Good thing then that software is not math, eh? How is your “copyright just math” exercise coming along? I’m simply pointing out that there’s no logical reason to think that dependent claims necessarily inherit the eligibility of their parents. There’s no case saying that, and there’s no logical reason to think it must be true. The most basic eligible claim is “a machine” followed by limitations. A machine is a statutory item, yet we know some claims that assert machines are not eligible. Ergo, dependent claims which simply add more limitations do not necessary inherit the eligibility of their parents. Not to go out on a far-flung limb here – but that’s probably why they’re called judicial exceptions. If they failed to assert an eligible category in the first instance they would simply be straight 101 rejections. This is true, with the emphasis added and noting that the postulate refers to claims in general. But, as I’ve noted elsewhere in the thread, if the independent claim is adduced to be eligible because it raises no eligibility problems and that claim is patentable on its own terms, then logically one would expect the dependent claim to be eligible. That’s what’s bizarre about the PTO’s example 29. There’s clearly a natural phenomenon underlying claim 1. The correct analysis requires determining whether there is enough added to eliminate the eligibility problem (note: this is not necessarily an analyis that can be done in two seconds but it sometimes is). What’s bizarre is that for claim 2 the PTO bothers to perform the analysis and concludes that the same steps that were apparently enough for claim 1 are not enough in claim 2. That’s just ridiculous and very very wrong. I confess that I cannot cite a case that says that dependent claims must inherit the 101 eligibility of their parents, but this has to be the case, nevertheless. If a claim reads on even a single ineligible embodiment, then the claim is ineligible, even if it also reads on eligible subject metter. That’s part of the problem with the “directed to” aspect of the “Gist/Abstract” sword. Actual (and supposedly controlling) claim language is “placed to the side” while some “Gist” is determined. Of course, this can be (and is) done separately and on a claim by claim basis, so the idea of scope for an independent claim encompassing the scope of all dependent claims just does not matter when you are not looking at the scope at all (and you are not, when you are looking instead at the “Gist”). Mike: I confess that I cannot cite a case that says that dependent claims must inherit the 101 eligibility of their parents, but this has to be the case, nevertheless. Is it the case that “dependent claims must inherit the obviousness of their parent”? Or that “dependent claims must inherit the non-enablement of their parent”? The problem with Example 29 is that the dependent claim 2 recites steps that the Office deemed eligible on their own terms (i.e., the steps recited in claim 1). Then, somehow, for the analysis of claim 2, those same steps are deemed insufficient to confer eligibility to a claim that recites an additional step (“diagnosing”) that, by itself, is ineligible. That’s what’s wacky and nonsensical. Fair point. Of course the decision to which you refer is ridiculous and wrong. Machines are statutory subject matter, independent of what they do. If its a machine, its eligible. You’re welcome to ignore 100 years of caselaw. It wasn’t just Alice, but Mayo, Diehr, Morse etc. This is clearly the interpretation of the Supreme Court. It is the law unless Congress acts to move against it. We could argue what would happen under a theoretical legal scheme if we want, but what’s the point of that? That’s just laziness on the part of the court. The complaint in Morse, for example, was really a written description/enablement issue. If they rejected a machine claim in Morse, it was not for a 101 issue, though it may have been called that. I don’t remember. Morse is generally considered a 101 case, but I agree that when you are claiming all applications of a natural law you have a WD/Enablement issue too, which is often the case with abstract ideas as well. I make a lot of 112s with my 101s generally. But claiming “all applications” of something is not the only way to find ineligble subject matter. There are particular, posited things which are simply beyond the reach of patent law. No, not TOO. Just written description/enablement. Les, no one said that computers were not statutory machines and you know it. But how do you deal with a claim that includes nonstatutory subject matter and statutory subject matter? Require invention in the statutory. No. If its a machine, its statutory. 101 is about categories. period. If you think the novel aspect would not be eligible if it were not implemented in a machine, fine. But what is being claimed is a machine. The machine as such is patent eligible. Picking seeds out of cotton was not patentable. But a machine to pick seeds out of cotton was. Flying was not patentable (birds had been doing it for a few years), but a machine to do it was. Taking dictation is not patentable…. but a machine that transcribes speech to text is…. – I’m not sure the correct answer is a 101 rejection to Claim 2. The correct answer may be a double patenting rejection to Claim 2 as being the exact same claim as Claim 1, on a theory that the ineligible subject matter cannot distinguish. Since when are we issuing double patenting rejections over claims in the same application? The law permits multiple claims that don’t patentably distinguish over one another in the same patent. If you insist on being creative (although I’m skeptical that this is part of your job description), perhaps you could try a 112(d) rejection. But the question there isn’t whether the “ineligible subject matter” can distinguish – it’s whether it’s further limiting. I don’t see why it’s not. The law permits multiple claims that don’t patentably distinguish over one another in the same patent. You know I looked this up in response and it turns out we’re both wrong. It appears there is no double patenting rejection within a single application. Instead the correct rejection is under 112b – see MPEP 2173.05(n) and 37 CFR 1.75: Claim must differ substantially from another claim. Obvious variants are allowed, but my argument is that you ignore the ineligible subject matter (which is the only additional subject matter in the dependent) and therefore they are the exact same claim. Similarly, because this happens to be a dependency situation, 112d applies because the dependent fails to further limit its parent. But the question there isn’t whether the “ineligible subject matter” can distinguish – it’s whether it’s further limiting. I don’t see why it’s not. I think an ineligible distinction by definition has to be a non-limiting one, or we’re going to be applying the wrong standards to solve issues. For example, suppose claim 1 is a machine comprising ABC and claim 2 further limits the machine with an ornamental design. You can’t apply utility patent analysis and properly solve Claim 2, because none of the questions make sense. If ABC is a computer, the ornamental design is not going to be within the skill of the computer engineer, and I don’t even have the tools to search it. Pretty soon we’re issuing claims explicitly because of ineligible reasons. You *have* to have a rule that prevents me from being able to consider Claim 2. That’s why non-functional descriptive material (printed matter) isn’t given any weight at all, and I suspect the same applies to any ineligible subject matter – no weight. RG: Pretty soon we’re issuing claims explicitly because of ineligible reasons. The PTO, of course, has been doing that zealously for about 15-20 years now. I think you’re on pretty shaky ground with 112(b). “Multiplicity” is not in the statute, but is based on case law – under that case law, you have to show that the “multiplicity” is so undue that it causes confusion. Note that both 112(b) and 112(d) refer to “the subject matter.” Your position seems to be that “ineligible subject matter” is not subject matter at all. Semantically and logically, I don’t think that holds together. The law distinguishes between eligible and ineligible subject matter. 112(d), for example, says that a dependent claim must further limit “the subject matter claimed.” It doesn’t say that it must further limit eligible portions of the subject matter claimed, with further eligible subject matter. There’s no reason for it. More generally, you’re essentially saying that “no weight” or “ineligible subject matter” imply “I can ignore it for all purposes.” Again, I don’t think that’s supported by the law or PTO policy. Regarding your hypothetical, I don’t have any problem with you assigning the ornamental design “no weight” when considering patentability. But where’s the problem? If claim 1 is eligible and patentable, then so is claim 2. If claim 1 is ineligible or non-patentable, then so is claim 2. You don’t need to dream up a rejection under 112(b). Trying to decide whether there might be any additional grounds on which a claim might be invalidated is hardly what I would call “being creative.” The whole reason we are paying the examination fee is so that the Examiners will give it their best shot to prove the claim unpatentable. That way, what comes out the other end should be robustly enforceable. If there is a §112(b) or (d) problem with your claim, the Examiners would be doing you no favors to just close their eyes to the issue and stick to the usual §102/103/112(a) script. So, as I have so often stated, let me state again: Rubber stamping EITHER Reject Reject Reject OR Accept Accept Accept by the examiner is just he examiner NOT doing their Fn job. I don’t think 101 can be applied “indirectly” through other patentability requirements. Otherwise, 101 could be grounds for IPR, on the purported grounds that “ineligible subject matter cannot be the basis of novelty/nonobviousness” or some such. The EPO does something like this, at least with regard to inventiveness, but I’m pretty sure it can’t be done in the US. Doesn’t your claim 2 incorporate all the features of independent claim 1? I’m having a hard time seeing how a claim can go from being eligible to ineligible just because a step is added. This would mean that a broad independent claim is eligible but a narrower version of the claim is not. That would be like arguing that a dependent claim is infringed even though the independent claim is not infringed. It’s antithetical. Here’s an example where you have an eligible independent claim and an ineligible dependent claim. a computer, coupled to said data storage unit. The above is a re-phrasing of US7,725,375, one of the Alice patents. I took claim 1 from that patent and split it; just the hardware went into the above claim 1 and what the hardware does went into claim 2. The above claim 1 would obviously be obvious. But eligible. It’s just hardware; it wouldn’t be “directed to” an abstract idea, and so it’d escape the Alice test at step 1. 2. The data processing system of claim 1, . . . The above claim 1 would obviously be obvious. But eligible. Or we can just say that there’s no invention, therefore it’s also ineligible for patenting. The more important point is that — if the system is functioning as it’s supposed to — nobody is protecting ineligible junk (e.g., the class of methods that “create legal obligations”) — no matter how “non-obvious” it is — by attaching that junk to an unpatentable non-inventive prior art field. Except there is a difference – and the fact that you don’t see it speaks volumes about both you and the mess of the broken score board that the Supremes have made of 101 with their mashing of that wax nose. By the way, even the Court rejected (9-0) your “no difference” in Mayo. All that you are doing here is confirming that you just want a desired End by any means. even the Court rejected (9-0) your “no difference” in Mayo. No. What the Court rejected was the PTO’s proposition that applying a test for obviousness would somehow “take care” of ineligible junk like the claim that Prometheus was asserting. The PTO never explained how or why 103 was supposed to do that work, nor did it explain why Prometheus’ junk claim managed to get granted in the first place (especially l a m e because the claim was obvious even if the ineligible “correlation” limitation was given “patentable weight”). This is exactly why Alice is through the looking glass absurd. Yep, exactly. It’s an arbitrary anti-standard. There’s a huge difference between an “arbitrary” standard and a non-arbitrary standard being applied “arbitrarily” by incompetents at the PTO (who are being led, in turn, by practitioners who don’t even try to understand what’s going on half the time). It’s one thing to “not understand”. It’s another thing to have the basics explained in crystal terms and then have the same silly nonsense (“you can’t dissect the claim!” “a computer is an article!”) repeated over and over again in response. That takes some serious effort. I’m having a hard time seeing how a claim can go from being eligible to ineligible just because a step is added. See my explanation at 4.1.1.1. This all goes to the heart of the matter which is that it is impossible to have a working subject matter eligibility screen without considering the relationship of the claim elements to the prior art. It’s equally important to understand that non-inventive subject matter — aka as “the prior art” — is also ineligible for patenting. 101 requires an invention. The best resolution to the problem that you are “having a hard time with” is to recognize that a claim to, e.g., “A method comprising milking a cow”, is not only unpatentable under 102 but it’s also ineligible. Y0u can’t patent it. It’s in the public domain. As such, it can never be deemed “limiting” for the purpose of dragging some added ineligible subject matter into the realm of eligibility. So you have a claim to “A method comprising milking a cow”. That’s unpatentable (and, I would argue, also ineligible because it’s unpatentable — it’s not an invention). “A method of milking a cow, further comprising thinking about a correlation between bucket weight and cancer” is ineligible. Why? Because the only “new” limitation is ineligible subject matter and it turns practitioners of the prior art into literal infringers when they engage in a “new” patent ineligible act, i.e., “thinking”. That would be like arguing that a dependent claim is infringed even though the independent claim is not infringed. In fact, it’s the opposite conclusion that is more like that. “Milking a cow” is in the prior art. I am free to do that and I’m free to think about whatever I want when I milk that cow. Allowing people to recite “milking a cow” as a means to protect some “new” correlation leads to a result that is no less “antithetical” than the infringement result you set forth. Moving the goalposts back from the implied “TOTALLY IN THE MIND” aspect, tou do realize that the your little rant here is exactly the logic that I pan with my Big Box of protons, neutrons, and electrons, right? I guess I thought it would go without saying that thinking about the weight of a bucket of milk, on one hand, and synthesizing a new molecule with surprising properties, on the other hand, are totally different things (at least from the perspective of a sane patent system). But, hey, you appear to believe otherwise! Run with it! You’re a very serious person. The first step is to ask what the claim is drawn to. Adding limitations moves the “center” of the subject matter – it changes what it is drawn to. Ex – Claim 1: An article of manufacture comprising a book. Claim 2: An article of manufacture comprising a book, wherein the book contains a non-useful story comprising [20 limitations particularly claiming the plot of Star Wars]. Claim 1 is eligible. Claim 2 is not. Claim 2 is an effort to claim a non-useful story, which just happens to be embodied on a book. 101 isn’t like 102/103 infringement. Under your logic, the Morse case would have ended as soon as they read “A machine…” since a machine is clearly eligible and anything thereafter could only limit an eligible thing. Well, it would be eligible if it were new and non-obvious. But it’s not even an invention … and 101 does seem to require an invention. I’ll grant you that the claim recites one of the statutory categories which gets it maybe one inch off the ground on the way up to the hurdle. But that’s it. That’s one of the real problems, I think, with a lot of these PTO memos is that they fail to make clear what problems are likely to be faced by the claims under the other statutes. That has the effect of encouraging applicants to copy the claim formats which may have f@tal problems in typical factual backgrounds. Wouldn’t it be far better to simply state the competing considerations and arguments for filing claims falling within certain classes and formats? Well I will agree with you as far as this – application of the patent statutes requires flexibility and rationality. That’s kind of what KSR was all about. But the Office needs to evaluate people and they need to give guidance to their “shareholders” so they end up doing exactly what the Supreme’s said the Fed Cir couldn’t do in KSR – try and cabin a flexible approach by creating non-existent guidance and rules. There’s really only one rule – a claim is abstract when an examiner presents a compelling rationale for it being abstract after following the Alice procedure. By definition there cannot be any rule other than that. All of these examples and whatnot are useful illustrations I suppose – try and analogize it to another case, try and comment on each particular limitation, etc. and the suggestions (because that is what they are) of what an examiner should try and show when conducting their 101 analysis are all well and good, but there’s ultimately only one rule which is case-specific rationality. I can see why applicants don’t like that, as we are both prosecutor and judge, but that complaint belongs with the administration of the PTO, not with the judicial analysis set up. Try to remember what happened in 1952 Malcolm. 1952 may become relevant again if Congress decides that it needs to “react against” the Courts and expand the scope of what’s patentable. Unfortunately for you and and your fellow patent maximalists, there are more patents being granted and applied for now than in any other point in history. Licenses are being taken all the time. Patentees are suing people left and right at a vigorous clip. Other than the screeching of some folks who habitually screech about everything but who otherwise can’t reason their way out of a paper bag, I’m not seeing any problems. And, frankly, nobody else is either. The incompetence at the PTO is certainly a problem but, as ever, that incompetence is leaning in the direction of patentees. 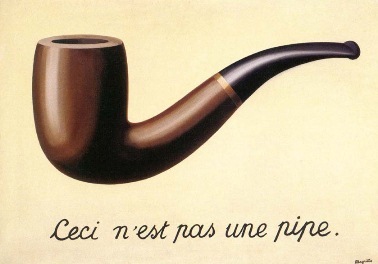 Again with the canard of the non-Useful Arts…. Claim 1 recites a natural phenomena. It doesn’t claim a natural phenomena, but it recites one absolutely. Mike: Does adding a natural phenomena to an otherwise [eligible] invention really turn the invention into ineligible subject matter? But there is a huge problem with the analysis of claims 1 and 2 in Example 29 as I discussed in comment 3, below. To elaborate on the answer to your question, however, let me give you one example of a situation where adding a limitation relating to a “natural phenomenon” can create eligibility problems. Let’s say you build a new and non-obvious sewing machine. To simplify things (for me and everyone else — I know next to nothing about sewing machines), let’s assume that your claim to this new, non-obvious sewing machine is well-drafted and describes your machine in structural terms distinguishing it from the prior art on the basis of those terms. We’ll just refer to that hypothetical claim as [new sewing machine]. It’s certainly eligible subject matter. So here’s your two claims. 2. A signal comprising visible light rays reflected off surface of [new sewing machine]. 3. A method comprising observing light rays reflected off the surface of [new sewing machine]. Claim 1 is eligible. Claims 2 and 3 are not, in spite of the fact that claims 2 and 3 both comprise an element that, by itself, would represent an eligible and patentable invention. The kinds of additional limitations in claims 2 and 3, which “relate to a natural phenomenon” (specifically, the phenomenon of reflective visible light), are ineligible because, as a matter of basic logic, they turn people who shine a light on or look at your new sewing machines into literal infringers. Now, I grant you that claims 2 and 3 are not the sort of claims people generally pursue. But they could pursue them if they wanted to try to capture more infringers. They’re just going to fail 101 at the end of the day. Oh for Pete’s sake. …Turn people who look at your sewing machine into literal infringers? Really? Turn people who look at your sewing machine into literal infringers? Really? I know: it’s troubling to think about some “investor backed” l0wlife trying to assert that kind of claim! I mean, as if! But unless you were born yesterday or willfully ignorant, you’ll remember that a company named Prometheus went all the way to the Supreme Court with an argument that a doctor would literally infringe their claim by looking at old test results and “thinking about a ‘new’ correlation”. That struck me and a lot of other reasonable people as a rather shocking proposition. So which is it, Moocow? Were you born yesterday or are you willfully ign0rant? Claim 2 is to a SIGNAL. Current controlling law (In re Nuitjen states the OPPOSITE of your “element comprised since signals do not comprise what they may bounce off of. You should try it sometime. Or you can just keep on tr0lling this bl0g and acting like a pr*ck. The only difference between claim 1 and 2 is that claim 2 adds an additional step. Does adding a natural phenomena to an otherwise patentable invention really turn the invention into ineligible subject matter? Begging your pardon, but the extra step is quite definitely not the only difference. The preambles are also different. Claim 1 recites “a method of detecting JUL-1 in a patient,” while Claim 2 recites “a method of diagnosing julitis in a patient…” As I read the examples, the salient difference is that methods of detecting a protein are §101 eligible subject matter, while methods of diagnosing are not. For my part, I think that this is really quite precious. I will be happy to rephrase all of my currently-rejected “method of diagnosing” claims as “method of detecting” claims to get to allowance, but I am going to feel obliged to advise my clients that I cannot believe that the courts are actually going to buy the distinction that the PTO is flogging here. In any event, if you are confused that the claimed method became ineligible by adding an extra step, I think that you are misunderstanding the example. It is not the extra step that makes it ineligible. You could add the extra step to Claim 1, and the revised Claim 1 would still be eligible, because the is the preamble that really makes the difference. You really think the preamble here “breathes life” into the claim or adds anything that the steps don’t recite already? So the purpose of the steps matter more than the steps themselves? What if both claims didn’t have a preamble or if the preamble was arbitrary? No, I do not think that the preamble “breathes life” into the claim, but I think that the PTO thinks so (or at least, they are willing to pretend as much). * The PTO gets fees from people filing patent applications. * People will not file patent applications if they know ex ante that the claim can never be allowed. * Therefore, the PTO has a direct and pecuniary interest in leaving people with the hope that their claim can possible come out the other side of examination with an allowance—that is to say, it is bad for business if folks give up before filing. * The PTO also knows, however, that some people are hungry for another way to draft a claim to cover essentially the same subject matter, but which will not be chewed up by Mayo. * It is very easy to convince people of that which they want to believe. Therefore, the PTO has thrown together a claim that is just slightly different from the claim at stake in Mayo. The hope is that that some sucker will think that Ex. 29, Claim 1 is just different enough from the Mayo claims that it will be worthwhile to file on that slightly different claim. For my part, I am happy to play along up to a point. If my clients just want to get to allowance, I will indulge the PTO’s joke. That said, I do not believe that the preambles of these two claims are materially different enough that either the SCotUS or the CAFC would have pause in shooting Ex. 29, Claim 1 down on §101 grounds. I think one have a duty to one’s clients to tell them as much when explaining the Ex. 29 examples to them. IIRC, they are either ignored or only used to breath life into a claim…. At first glance here, the focus on the distinction appears to make it as if the preamble is breathing death into the claim. I tried to write a response to Mike, but I see that it is trapped in the moderation filter. God only knows when it will post. I like your little joke about “breathing death” into the claim. I think that is exactly right. The PTO appears to be taking the position in this latest set of Guidance that “it is §101 compliant so long as we do not have a case on all fours that says that it is not §101 compliant” (the reasons for this position are explained in the filter trapped post, and I do not have time to re-present them here). Therefore, “method of detecting” is fine because there is no case that says that the PTO have to treat “detecting” as ineligible. “Method of diagnosing,” however, is no good because that sort of claim is foreclosed by Mayo. In other words, the magic word “diagnose” is the kiss of death (from lips covered in Mayo), but as long as you steer clear of that magic word, you can still hope for a notice of allowance. It is interesting, is it not, that the PTO does not take a leadership position is fixing the problems it has caused by issues so many patents to subject matter that is nonstatutory simply because it recites statutory subject matter somewhere in the claim. First – you are simply wrong in your legal analysis concerning the “mixed” situation. Second – you are wrong in wanting the PTO to do something OTHER THAN apply the law (your so-called “leadership” position). All we have from you Ned is the internet style “shout down” since you REFUSE to take, consider, and integrate the counter points presented to you. All you do is sit there, eyes clenched tight, fingers thrust deep into your ears, and chant the same mantra over and over and over – without regard. anon, wrong? The fact that you disagree with the Supreme Court is noted. Your “version” is not even what the Supreme Court (broken score board and all) have said Ned. To be very fair to the PTO, I am not sure that we should want them to take “leadership” over the patent system. Their job is not to design the system, or even to administer it. Theirs is merely to try to minimize the amount of litigation necessary to administer the system, which is a difficult task. In other words, they really have enough on their plate, without expecting them to exert “leadership” in an area beyond their core competency. Which translates to: examiners – do your Fn job. Greg, when the laws is in a state of flux or is ambiguous, the PTO has a duty to take issues to the courts for resolution. When they themselves decide what the law is and issue patents accordingly, that is when they make mistakes and cause a lot of harm, both to the public, and to the patent holders relying on invalid patents. Oh. My. Gob. I haven’t had time to review all of the exemplars but a quick skim identified at least one bizarre and completely unacceptable error in Example 29. Now, I believe there’s a decent argument to made that based on the conventionality and generality of the detection method (“use an appropriate antibody”) that this claim would fail 101 for the same reason that Sequenom’s claims failed (there is no mention of the Sequenom decision in the PTO’s document). Note that steps (a) and (b) in claim 2 are identical to the only steps recited in claim 1 — a method that the PTO has already deemed to be eligible subject matter. Note also — and this is key — claim 1 uses open-ended language and literally covers the narrower method recited in claim 2. And yet somehow the PTO deems claim 2 to be ineligible!! (the “explanation”: Detecting whether JUL-1 is present in the plasma sample merely instructs a scientist to use any detection technique with any generic anti-JUL-1 antibody. When recited at this high level of generality, there is no meaningful limitation, such as a particular or unconventional machine or a transformation of a particular article, in this step that distinguishes it from well-understood, routine, and conventional data gathering activity engaged in by scientists prior to applicant’s invention, and at the time the application was filed <– it's completely unclear why that argument wouldn't apply to render claim 1 ineligible directed to a natural phenomenon without the requisite "something more", but we don't even need to consider that issue to see the PTO's analytical error with respect to claim 2). This example is so plainly wrong that one wonders whether anyone other than the (clueless) author of the example ever spent more than five seconds thinking about it. Ha I just noticed this too but you beat me to it. This is exactly why novelty should not be a consideration under the 101 analysis just like the Supreme Court said in Diehr. Should subject matter really go from being patent illegible to innellgible depending on when the application was filed? First person to invent a car is not rejected under 101. Then at a later time a person claims said car but further includes a processor that performs a mental process, now the claims are illegible under 101. Mike: This is exactly why novelty should not be a consideration under the 101 analysis just like the Supreme Court said in Diehr. What are you referring to when you say “this”? The existence of people like you who can’t follow basic logic? Determining the relationship of the claimed subject matter to the prior art is always going to be part of the subject matter eligibility analysis of that claim, Mike. Get used to it. It’s not going away. If you can’t understand it, then you lack the competence to practice patent law. Another sign of your failings as a lawyer is your inability to understand the difference between a court saying “You can’t conclude ineligibility just because you find X”, on one hand, versus a court saying “A claim with X is never ineligible.” I pity your clients, but I presume that if you have any left it’s because they’re even d u mber than you. Was Diehr overruled? The Court clearly said “The novelty of any element or steps in a process, or even of the process itself, is of no relevance in determining whether the subject matter of a claims falls within the 101 categories of possible patentable subject matter.” If the statement is still good law, then wouldn’t it be a legal error to analyze prior art as part of the subject matter eligibility analysis? To the extent that you believe that Diehr stands for the proposition that can’t consider the relationship of claim elements to the prior art when you conduct a subject matter eligibility analysis, that passage certainly was “overruled”. There can be no doubt about that. But go ahead and tell your clients otherwise! Take the money and run. Also, I seem to recall that Diehr was more than a one sentence opinion. Surely Diehr said other things as well. Even if it was just that sentence, I could still make an argument that all the court was trying to say is “It doesn’t matter if the entire process as claimed is novel, it could still be ineligible.” My argument wouldn’t be half as silly as the postulate that subject matter eligibility determinations can be made in every instance without consideration of the prior art. Let’s settle first for you taking on that one sentence…. Diehr did not fully address the issue of claims with mixed subject matter, some within the four classes (but old) and some not (but new). Mayo/Alice did address it. The mere presence in the claim of old subject matter that is otherwise eligible does not render a claim to ineligible subject matter eligible. That said, if there is invention in the eligible subject matter, the inclusion of the ineligible should not affect 101, but it might affect 112(b), because it clearly distracts. Eligibility is NOT determined on a claim element pieced out separately approach. Eligibility is determined on a “claim as a whole” approach. Not sure that you understand that attempting to flip “Diehr” does not change what Diehr really means. The way to think of this is to understand the meaning of “cabining” in the Bilski decision, understanding the historical contortions of 101 in the “trilogy” of case of Benson-Flook-Diehr and realize that attempting to RE-interpret Diehr to be anything other than what it truly is is a base (and deceptive) act. In fact that’s a necessary first step in the analysis pretty much all the time. That just means you can’t ignore the elements and their relationships to each other when you are doing the analysis. It doesn’t change the first fact that I reminded you above for the zillionth time. anon, the claim as a whole IS unpatentable if the claim includes both eligible and ineligible and there is no invention in the eligible. Printed matter doctrine is a good example. Yes. Sadly, I think we must recognize that Diehr was over-ruled. The SCotUS will not say as much, but the CAFC knows what’s-what. In the oral arguments on Monday for FairWarning IP v. Iatric Systems, the patentee offered Diehr as authority for the §101 eligibility of their claims. Judge Lourie shot that argument down on the grounds that Diehr was questionable in view of Alice, and asked the patentee for another case (the patentee rather half-heartedly coughed up DDR as their next best case, although they could not offer any explanation as to why their claims were like DDR‘s). Justice Stevens (the author of Flook) dissented bitterly in Diehr because he could see that Diehr was over-ruling Flook without explicitly saying so. Justice Stevens was, of course, quite right in his estimation of the outcome of Diehr. I expect that Justice Rehnquist needed to pretend not to over-rule Flook in order to get his majority for Diehr (just as he later tried to pretend not to over-rule Roe so as to convene a majority for the opinion he was writing for Casey). In any event, Justice Rehnquist’s sub silentio chicanery came back to bite him (or at least Diehr) years later, when Justice Breyer used the same sub silentio sneakiness in Mayo and later Alice. Diehr is no longer good law, regardless of the fact that the SCotUS continues to cite it. They are just indulging their own private little joke by treating it as if it were not over-ruled. As recently as Mayo, Diehr was not only NOT overruled, but was held out as THE pinnacle case most on point, with the Court expressly saying that they were not touching Diehr. You cannot then go to overruling the same case sub silento. That would be attempting to hide elephants in mouseholes. The better explanation is that the Court is simply “winging it” and arriving at its desired end, and then (and rather sloppily) throwing out some cites to defend what it wanted the ruling to be. They criticize applicant advocates as “scriviners” and turn around and “scriven” themselves (but only more p00rly). There is a (Constitutional) phrase that fits the law “as written” by the Court: Void for Vagueness. And yes, while that term is often used for criminal law, the concept does apply to life, liberty and property. As far as Renquist and Flook, do you not remember what was said in Bilski? Diehr cabined both Flook AND Benson. Bottom line here is that much like the days of the Supreme Court in which it was said that “the only valid patent is one that has not yet appeared before us,” the Supreme Court is supremely mucking up statutory patent law. We need Citizen’s United to be thrown out, reclaim the Congress from that/i> voice of Big Corp, and have Congress learn a history lesson as to what the Judicial Branch is doing with the Legislative Branch authority. [T]he Court expressly sa[id] that they were not touching Diehr… The better explanation is that the Court is simply “winging it” and arriving at its desired end, and then (and rather sloppily) throwing out some cites to defend what it wanted the ruling to be. What is the distinction between “over-rule Diehr sub silentio” and “wing it rather sloppily to arrive at a desired end that is 180˚ the opposite of Diehr“? These are just two different ways to say the same thing. I suppose if you want to indulge the conceit that Mayo merely “cabined” Diehr without “over-ruling” it, fine, but from where I am standing this is a distinction without a difference. The important part of the Diehr holding was that one may not dissect the claim into old and new elements when assessing §101. Under Mayo/Alice one is positively obliged to dissect the claim into old and new elements when assessing §101. That is the functional equivalent of over-ruling, even if one refuses to say as much. Justice Breyer was careful to say that he was not over-ruling Diehr only in the same way that Justice Rehnquist was careful to say that he was not over-ruling Flook. Both assertions are just slightly comic charades. “I’ll do unto Diehr as Diehr did unto Flook,” Justice Breyer chuckled to himself. I am going to have to disagree with you Greg. The difference is that tomorrow (if desired), the Court can fully embrace the decision in the case of “winging it sloppily” whereas with “overrule,” even if only sub silento, the case is gone. I do agree with you though that ALL of this is a “comic charade,” and all the more reason for Congress to employ jurisdictional str1pping and remove the wax nose mashers. I do not think Diehr was overruled so much and the common understanding of what Diehr stood for was not understood. But it also true that some subject matter in the claim can not fall within the four classes. What then? Alice gave us the answer, but in a wacky way stemming from the abysmal Bilski holding regarding “abstract. What Alice really stands for is this: if the claim contains statutory and non statutory subject matter, invention must be in the statutory. The corollary: festooning a claim to nonstatutory subject matter with old and conventional steps or means does not transform the claim as a whole into a patentable invention. Are protons eligible subject matter? Are neutrons eligible subject matter? Are electrons eligible subject matter? The one “festooning” here is you. The citation that you snippet is from In re Bergy and most definitely does not support the connotation that you wish to use it for. You are (once again) attempting to use your canard of Point of Novelty in a 101 sense. Mike – the answer to your first question is “no” – not in my view. Patent eligibility should have zero to do with the state of the art and time-based considerations. Patent eligibility should have zero to do with the state of the art and time-based considerations. This is a non-starter and, as I’ve said, if you can’t see why then you have no business practicing law. Mike, when dealing with laws of nature and products of nature, we are dealing not with whether anyone knew of these or not, but whether the claims are in fact claiming the product of nature as in Myriad or the law of nature as in Mayo. If they are not, but in are instead claiming a composition or method that is literally new, then we move out of 101 into 102/103. I think the Supreme Court is clear on this. Very clear. I am not sure most everyone else those is clear, because of statements like your statement that does not seem to recognize that 101’s newness can be satisfied even if the product of nature or law of nature was unknown. If the issue is not whether anyone knew of these or not, they we can no longer issue patents for any chemicals. The universe is very large. The law of large numbers requires, that any chemical anyone could ever “invent” on Earth has already been created naturally somewhere. Probably even in this galaxy, if not in the alpha quadrant, then in the delta. Accept that Ned. Resistance is futile. Glance at the Constitution. Discoveries are patentable. There is nothing to discover but products and laws of nature. Les, is a chemical made by man and unknown in nature a product of nature? You say it is. I say it is not. I say it is so likely that it is a product of nature that, under your interpretation of the law, we can’t risk patenting it. What if millions of people paid thousands of dollar a year for crestor, because it was patented, and then we find out it occurs naturally in the moss that grows on the north side of rocks on a mountain range in Peru….. Or on Mars! Or are you finally coming out from the dark side and understanding that the issue is whether something is KNOWN in nature or not and that a DISCOVERY of a newly known chemical results in a patentable invention? Les, that is why I said that the law is that the Discovery of a product of nature is not a patentable invention. If one creates a composition, hitherto unknown, such is patentable invention. I think it is not made unpatentable because of later discovery of that composition in nature. Then we have the problem of the discovery of the process for vulcanizing India Rubber. How can that be Ned? Its a product of nature. By your logic, those are not patent eligible. Moreover, I could discover it in the rain forest and just not tell anyone….I don’t have to say how I discovered it. That can be a trade secret. To claim a composition of matter, I just have to say what it is and why its useful (cures cancer, for example)…. These are the reasons why your interpretation of 101 must be flawed…. Les, the cases have never addressed the issue squarely, but if the inventor makes the composition, then he has made a composition that arguably is not in nature. I think, therefor, the real limitation on patenting products of nature is patenting products discovered as opposed to being made. Thus all the discussion in Myriad about cutting bonds, etc. Lourie thought the isolated DNA was physically different. But the Supremes ended up with a practical result because what the patentee was attempting to do was to patent a gene he had discovered, not a gene he had made. As a matter of 101 and the Judicial exceptions – No. Whether one makes or discovers has no bearing on the nature of the warehouse of nature exceptions. Discovery of a product of nature is not a patentable invention. I’m sorry, what are you now saying? Are you now saying that if I discover chemical X in my lab by mixing chemicals together it is patentable, but if I find the same chemical by collecting specimen from the rain forest and analyzing them back in the lab it is not patentable? Les, “is made” is the key. Sorry Ned – you are off on a frolic once more. Discoveries are patenteable. There is nothing to discover but things that existed previously but were unknown. You have argued against this position in the past. In this thread, you seem to becoming over to my way of thinking…that chemicals not KNOWN to be in nature are patentable…and that later discovery of the chemical in nature does not invalidate the patent…. Les, Your example of the later-discovered composition in nature got me thinking. The real problem is that discovering something in nature is not invention. Discovering a new principle is patentable, but not at the abstract level, but only at an applied level. That is why the patent was allowed on vulcanized India Rubber — the patent that made Goodyear a rich an powerful company. The patent that put Ohio on the map. What else is there to discover Ned? but even if the “is made” is the key…how does that resolve the issue. The invention can be made by discovery or by ingenuity…What of it? Ask Ned about 35 USC 100(a). Does that make him not a lawyer? Les, no doubt. Your comment about later discovery of a product of nature got me to thinking. I also have been wrestling with the discovery of the process of vulcanizing India rubber. The Supreme Court several times mentioned that discovery with approval. Great Ned, prove Yoda wrong. Turn to the light side. Hopefully, once you start down the light path, forever will it dominate your destiny. Les: Great Ned, prove Yoda wrong. Turn to the light side. Hopefully, once you start down the light path, forever will it dominate your destiny. 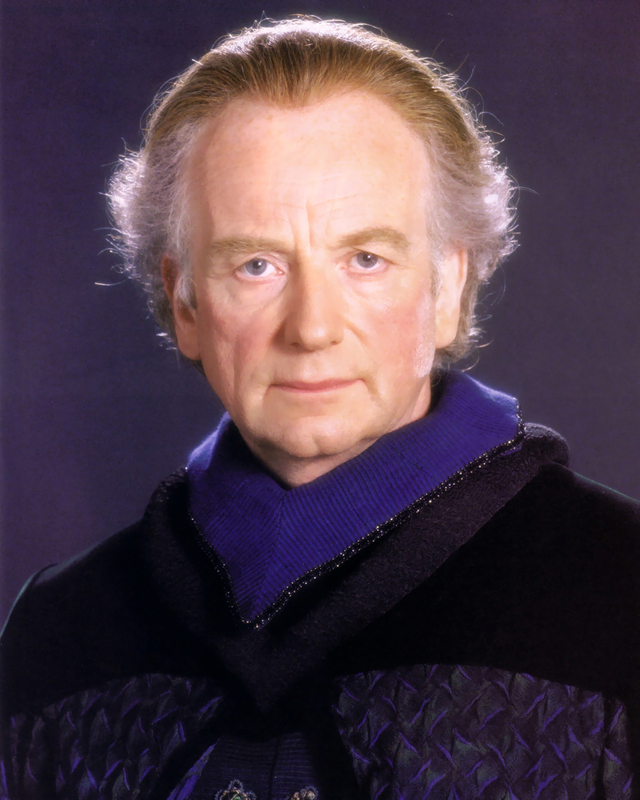 Yes sire, — er, I mean, Senator Palpatine, Sir. Should subject matter really go from being patent illegible to innellgible depending on when the application was filed? I think (and here I recognize I’m probably opposite to most of you) that the answer to this is yes. Suppose that Person A is the first to invent a book – using glue to bind pages to a spine. Person A’s claim is both eligible under 101 (as being an article of manufacture or a method, depending on how he phrases it) and novel under 102, and will be patentable. Person B comes along a week later and also claims to have invented a book – his claim is eligible under 101, but lacks novelty under 102. Then 300 years go by, during which books become ubiquitous. Person C comes along and claims a system comprising a book + a story. Or a book + math. At some point we have to say “One of skill would conclude the invention in this claim is not in the book, but in the story written in it” and the book loses the ability to confer 101 eligibility to the system claim, and the system claim is ineligible. I don’t think there is any substantive difference between claiming a book (that everyone knows preexists) + a story and saying “I claim improving this book by writing this non-useful story in it.” When it’s phrased like that, I don’t think there’s any question that 101 can’t cover it – the improvement is simply not a useful improvement. I don’t think there’s anything wrong acknowledging the obvious pre-existence of the book when viewing the claim at all. If you don’t have that rule, then you have no 101 at all, because you can always shoehorn some statutory category into the ineligible subject matter you want to claim. Then the only question becomes “when do we ascribe knowledge of the conventional book to Person C” which is something that should be developed more and which the CAFC has not really attempted to solve. In my example 300 years pass. But what if only 10 years pass? What if only 2 years pass, but everyone in the field would be made aware of the book within that 2 years? There’s a legitimate question of when “conventional” kicks in for Step 2 of the Alice analysis, but you’ll also notice that a lot of the times the specification solves the problem for you, because while the person doesn’t admit that they know of a book, the fact that they don’t try to teach how to make a book highly suggests that they’re aware it preexisted. If I claim a processor running code, the art knows that processors exist. And I pretty much admit that the processor preexists, because I don’t teach how to make a processor. It’s safe to say then that the processor can’t confer eligibility, because that is not what I invented. The ultimate issue is that the fed cir has kind of screwed itself by mistakenly allowing aggregations to be claimed (i.e. not calling it a 112b violation by including subject matter I know to be old, which the Supreme Court previously disallowed prior to ’52). By allowing aggregations, applicants think that they can assert SOMEONE ELSE’S invention to give them eligibility simply by including it in the claims. Actually, Random, your position is supported by dicta in Hotel Security, and of course, it is right. And something happened in 1952…. The fact that you think “yes” only goes to show that you do not grasp the concepts involved. Thanks Random, this is a great write up of a coherent position, and really intriguing to think about. described in the specification be old, the claims cannot be upheld because of novelty in the appliances used in carrying it out,-for the reason that there is no novelty. But, as Random noted and as Hotel Security admitted, if there were novelty in the “A blank sheet of paper ruled vertically and numbered at the top,” it would support the patentability of the claim even if the Art was old, or if not old, ineligible. Thank you for actually providing an explanation. Not like others on here who just attack the person and not the arguments. I really like your explanation. As to Random – his musings are clearly NOT the law and have no attachment TO the law. 101 is just not a time-dependent mechanism as his “logic” must bring it to be. Quite in fact, since the inescapable conclusion of that logic is a falsity, the premise of that logic cannot stand. Purposefully conflating and confusing the time elements with the timeless elements is a non-starter. This is QUITE DIFFERENT than saying that “overlap” may be present – it is forcing the critical thought process to merge the timeless and the time dependent. All Ned is doing is employing the Internet style “shout down” by endlessly repeating his drive by monologue and not integrating the counter points made that go against his position. If I try to patent a car composing four wheels 100 years ago and today I file the same claim. Would the claim fail under 101 since they are identical? Clearly no. Mike, it would not. Which clearly suggests that the problem is that the claim presents a 101 issue only when the claim also includes novel, but otherwise non statutory subject matter. The claim as a whole is unpatentable because the eligible is old and the new is ineligible. Eligibility is NOT determined as you are attempting to do so Ned. Is the law of nature that controls how these things interact and are put together eligible? Your “logic” means NOTHING is eligible. Well, regrettably, any more eligibility is determined as Ned is suggesting. I think that is not how it should be, but it certain is how it is. That just goes to show that the last word on the law (the nine eminent jurists of our Supreme Court) not only do not understand patent law, but really cannot even be bothered to learn the bare minimum relevant to the topic, even when it is explained very clearly (I read all of the briefs in Myriad, and many of them were quite good and easy to follow). Incidentally, this not only true for §101. The fact that Justice Kennedy could say—with a straight face even!—that “[a] person of ordinary skill is also a person of ordinary creativity” simply demonstrates once again that they cannot be bothered to learn even the most rudimentary basics when deciding cases that implicate patent law. Given that they have so evidently little interest in the subject, one rather wonders why they feel so frequently compelled of late to wade into the middle of patent disputes. There are so many things that they do well. Why do they want to waste their time and efforts on this one matter that they do so poorly? They are not right just because they are final. Broken score boards need to be noted, fixed and replaced – NOT merely accepted in a Dred Scot manner. Our oaths as attorneys are NOT to the Supreme Court, but to a law that the Supreme Court TOO is under. Greg, the problem we have today is primarily caused by Kennedy in Bilski and his use of “abstract” without ever bothering to tell us what that meant. But why did he do that? I think it was because of brief’s like IBM’s that called the claims in Bilski abstract, again without explanation. IBM was against the rule of the Federal Circuit holding that the transformation of something from one state to another was the default rule. Well, we all got hoisted by IBM’s petard. If I claim a box, a crank handle supported by the box and a comb driven by the crank handle, the art knows that the crank handle, the box and the comb exist. And I pretty much admit that the the crank handle, the box and the comb, because I don’t teach how to make a them. It’s safe to say then that the the crank handle, the box and the comb can’t confer eligibility, because that is not what I invented. I invented the CONFIGURATION of those elements in the form of a cotton gin! A processor out of the factory does not do anything. A processor combined with CONFIGURING software might do something new and useful, such as convert an electrical audio signal to text. That would not be the invention of someone else. It would be new configuration of what might be a known component. Much as the cotton gin was new configuration of known components. a comb driven by the crank handle. a processor configured to employ the comb in processing picked cotton to produce seedless cotton balls. Les, assuming no 112 problems, and I think there a aplenty in that last clause, I see no problem with that claim under 101. If you are assuming that it has a 101 problem, I think you misunderstand Alice. The novel subject matter has to be nonstatutory in my view. Since the processor operating the comb transforms cotton from one state to another, seeded to seedless, I see no problem with the claim at all from a 101 point of view. The whole memo/examples read like a parody of the law. The guidelines state that examiners must do certain things during examination, but then also state that an Applicant cannot petition nor appeal based on an examiner’s failure to abide by the guidelines. So what good are the guidelines if they can’t be enforced? I assume the guidlelines will be “enforced” internal to the USPTO by examiner supervisors, and compliance will be made part of regular performance reviews. As far as applicants are concerned, the guidelines presumably represent the USPTO’s current understanding of case law, and any failure to comply with the law (not the guidelines per se) is of course reviewable through appeal. The courts also recently thrashed the earlier “guidance” for those same “weasel” words. But are you really surprised when the Court goes on a frolic from the appropriately (Constitution) designated branch of the government and tries to scriven its own law – and fails because what they unleashed is (or should be) classified as Void for Vagueness…? Assuming examiners actually apply the requirements of the memo just issued, this should eliminate about 95% of the 101 rejections currently pending and free some currently locked up art units. If that’s true, then this memo must be filled with even more errors than I thought. I don’t know what happened internally, but what it looks like is that the “community” gave input and eventually the good policy folks gave in so far as to go wholly contrary to the law itself. That nonsense will be fixed in two seconds. By the first IPR petitioner who calls them out on it. Oops, gotta scratch that until the IPR regime is expanded to include 101. B-b-be cause that it s the way that statutory law is changed. THAT phrase has been added to the George Carlin list….? Cause they aint. I’ve received a few OA that assert that limitations ARE normal and routine, but not how they are normal and routine. Truthfully they certainly do not have to under the law which they have to adhere to regardless of what the memo says. Indeed, to make such a substantive requirement to make a rejection of that nature is to ensure that the law is inappropriately administered. What’s in the prior art is in the prior art. It doesn’t matter if the prior art was never practiced by anyone or if it was practiced by everybody’s m0ther. You can’t use that prior art as the basis for conferring eligibility on some otherwise ineligible abstraction. Why is that the case? Because the prior art is mine to use, freely, and I”m also free to use it with or on whatever ineligible subject matter I choose, regardless of how “non-obvious” that ineligible subject matter is. Are protons, neutrons, and electrons in the prior art? Are they yours to use freely….? I agree with MM here. Alice, if applied, should be used to reject most computer-implemented content. That’s precisely why Alice was a bad decision. Alice, if applied, should be used to reject most computer-implemented content. That’s precisely why Alice was a bad decision. Love it when the truth leaks out. That “leaky thing” is not what you think it is.